"Don't tell him he can't do something." -- Mizzou's Gary Pinkel on Max Copeland. ST. LOUIS — Someone should warn Max Copeland. Down to one final game, he doesn’t seem to have grasped the fact that his wild and wonderful ride with the Missouri Tigers is almost over. What a ride it has been. One-time walk-on shuns scholarship from his home state university, Montana, to pursue childhood dream of playing at Mizzou. He eventually earns a scholarship, makes the starting lineup, helps take team from 10th best record in the SEC to No. 8 ranking in the nation, earns degree as a physics major and, finally, lands in the Cotton Bowl for his college finale. "I’m proud of where I’ve gotten," says Copeland, as he should be. "There’s still a place I want to be but I’m not there. I’m not there yet." And where might there be? That was his answer two weeks ago and as the end draws nearer, it hasn’t changed. Copeland has been telling reporters in Dallas the same thing he told me after a practice the week before Christmas. "My mentality coming into this season was there will be no lasts (as in last game at Missouri, last dinner with his fellow linemen, etc. )," he said. 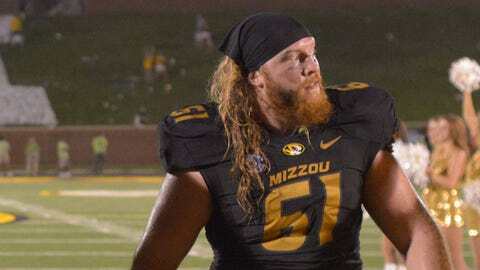 "I went into this season thinking I’m going to play football for the Missouri Tigers for the rest of my life. That way I wouldn’t be governed by squeezing in all (the sentiments). That way it stays pure, it stays organic. Nothing is forced." OK, then. While his free-spirited outlook makes some sense, with a day to go in his college career, he might want to contemplate what is next or at least think about where he will be next week. If he has, he’s not saying. "I have no idea," he says. "I have no plans whatsoever. Maybe I’ll pack up my backpack and just leave. Go on a walkabout. Who knows, man?" Copeland, a left guard listed at 6-2, 297, is considered a fringe NFL prospect so Friday’s date with Oklahoma State at Cowboys Stadium could be his final football game. Not surprisingly, he’s no more worried about that than he is about locating a barbershop. "I told you, I’m not thinking about lasts," said Copeland, his long, red mane flowing below his shoulders. "I’m not going to live that way." He might not know where he’s heading but he’s determined to live the right way. The right way for him, that is. "I’m going to live thinking whatever I do, I’m going to stay rock ‘n roll forever," says Copeland, who then tries to explain his rockin’ outlook. "It’s going not where you’re supposed to go but where you want to go," he says. "It’s not about following the money and the steak dinners and the glitter. It’s about doing what you really feel is right. The rock ‘n roll thing is cute to a lot of people but it’s truly embedded in my spirit." For Copeland, doing the right thing means passing on what he has learned in his time as a Tiger. "That’s part of your legacy, you know," he says. "That’s not just a football thing. I feel like that’s a life thing also. It’s our duty to pass on wisdom to youth." Of course, he has his own ideas about passing on wisdom, too. They start with having fun. "People that want to have fun are going to make the association that the only way they can have fun is if they win," Copeland says. "And the only way they can win is if they do their technique well, and the only way they can do their technique well is if they work on it after practice." Now that’s an attitude even an old-school coach such as Missouri’s Gary Pinkel can appreciate. After the past five years, Pinkel knows that Copeland is far more about substance than style. His mountain-man appearance, affinity for heavy metal and ability to provide a quote for every occasion have made him a fan (and media) favorite, but those traits had little to do with his transformation from walk-on to scholarship player to starter for one of the best offenses in the land. 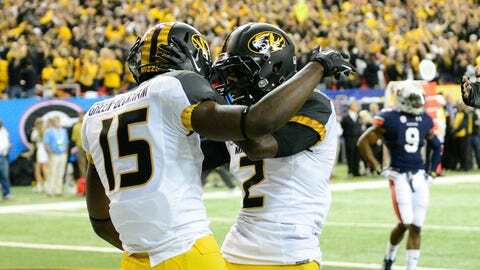 "Don’t tell him he can’t do something," Pinkel says. " ‘You’re not going to get a scholarship.’ Well, he got a scholarship. ‘You’re not going to start.’ Well, he’s starting and he had a real good year. That’s the message of Max Copeland." The message was well received by teammates, who awarded Copeland the Tigers’ Most Inspirational Player award at last month’s team banquet — his last such affair at Missouri. After such nights, even someone who is so determined to live in the moment can’t help but wonder a little about the future. "I do have a really, small pea-sized realistic part of my brain that says you might have to make some decisions," he allows. "As of right now, I’m saying I don’t care. Even if it ends up with me living in a box for a week, I won’t care as long as I can stay pure for the rest of my career as a Missouri Tiger." You know, considering all he has accomplished at Missouri, he really doesn’t need to worry about what’s next. Whatever road he takes and whenever he chooses to take it, Max Copeland will do just fine.